Q. How do I search for a number of articles all within a one journal? Start from the USC Libraries' homepage. Click the link for the database which has the date range you need. 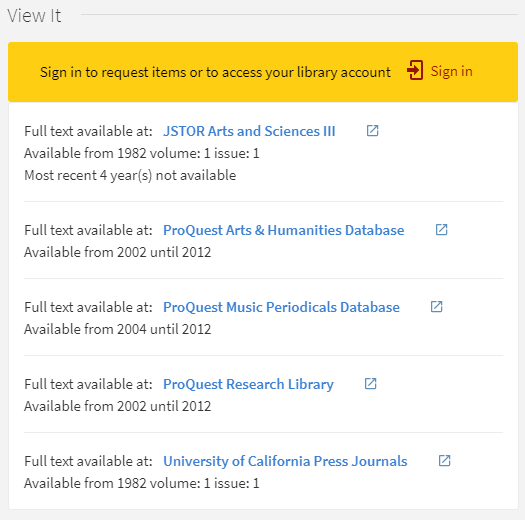 What occurs next will depend on the database, but you should be taken either to a home page for the journal (where you can browse or search articles), or an advanced search that already includes the journal title. You can also re-type the journal title into an advanced search if you need. NOTE: In some cases, we may not have the dates you need in an online database, but we may have print copies of your journal which do have the dates you need. 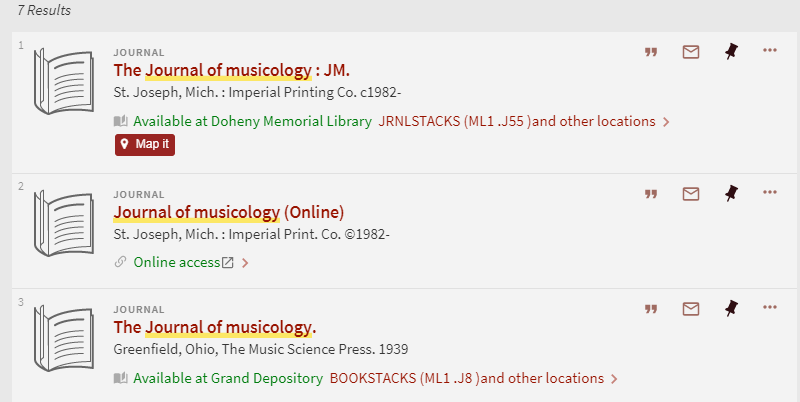 In the image below, the list of results reveal that the journal is "Available at Doheny Memorial Library." Clicking that link will take you to the item record for your journal, and that record will indicate the date range we have in print and which libraries those issues are located in.